The crop yield losses on fields and during post harvest period, caused by pests diseases are of paramount importance. When all of us are concerned about National Food Security, can the country afford these losses? Various types of direct and indirect losses caused by plant disease include, reduced quality and quantity of crop produce, increased cost of production, threat to animal health and environment, loss of natural resources and less remunerative alternatives adopted. The present book “ Diseases in Plants and their Management” incorporate critical review and research articles on major plant diseases of crops and their management practices on important agricultural crops. This book contain 13 chapters covering the theme of book. 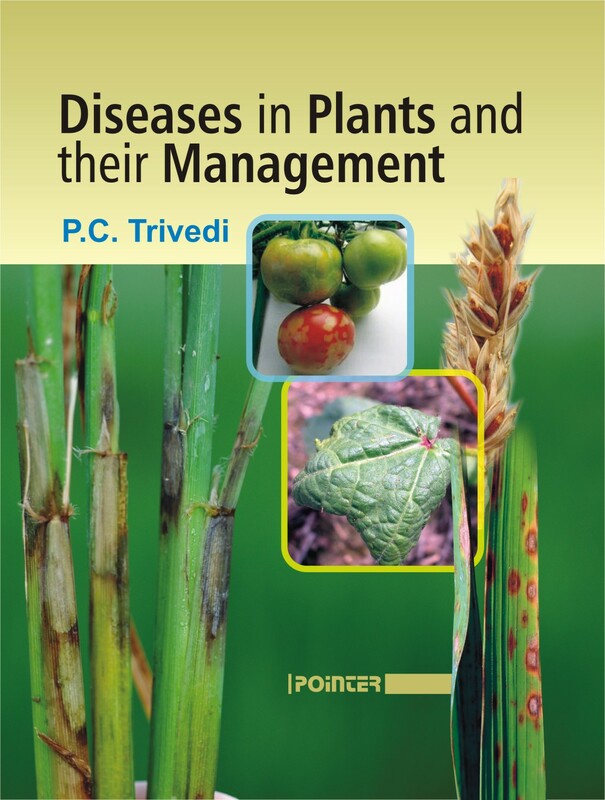 Major chapters include articles on : Diseases of Cereals and their Integrated Disease Management; Past, Present and Future of Rice Diseases; Citrus Canker-An important Bacterial Disease of Citrus; Present Status of Brown Spot Disease of Rice in India; Current Scenario of Sheath Blight in Rice; Stem Rot of Rice; Seed Borne Diseases and Mycotoxin Contamination of Minor Millets; Sclerotium rolfsii Caused Diseases on Crop Plants and its Management; White Rust Disease of Rapeseed-Mustard and its Management; Diseases of Sugar Beet and their Management; Diseases of Roses and their Management; Cotton Leaf Curl Virus Diseases: A Major Biotic Constraint in the South Western Region of Punjab; Use of Biotechnology in Management of Plant Nematode Diseases. The information given in this book will prove helpful to those interested in Plant Pathology and Plant Protection, Botany, agriculture, students, teachers, researchers and farmers.